Here’s a little update on a project I’ve been working on. 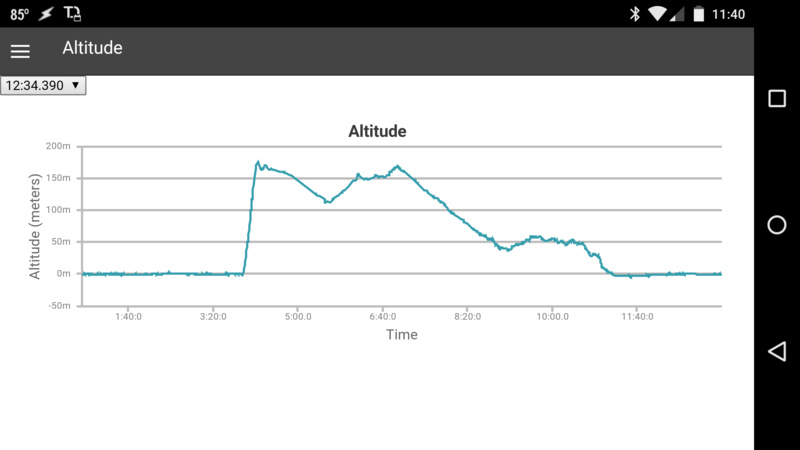 The Spektrum Telemetry Reader is an Android app to read Spektrum telemetry data. I’ve completed another alpha build of the Telemetry Reader for Android. It’s relatively stable. Obviously there are ways to make it crash. I’m mainly using it as a visual verification that the data from the library is coming back correctly. I’m also attempting my first hybrid application using the Ionic Framework (an extension of Cordova) and want to validate some of the design choices that I’ve made. You’ll need to decompress it (most 3rd party file explorers for Android should be able to do this). To install it you’ll need to enable non-store installs. This can be done in settings (you can Google this; I’m not writing a whole post on how to do this). Obviously when I go to release the beta and official version 1 of the app you won’t do this, it will be downloaded from the Play Store. I’m ready to release an official Alpha on the Play Store. I only need some graphic assets to meet the requirements of the Play Store listing. The big advantage of doing this is that I can send updates out and receive feedback in a structured manner. No major decoding bugs / proper handling of errors when an unknown issue arrises. You can leave comments here on this post, file a bug on the GitHub project, or post in the RCGroups thread. Tagged Android, App, Open Source, RC, Telemetry. Bookmark the permalink.